It's crazy all the information that's out on the internet. What do rice fields & salmon have in common? I'm not talking about sushi either. I absolutely love the videos that California Trout posts to Vimeo. The New Way Forward: Wetlands, an almost nine-minute short from River Garden Films is no exception, and is definitely worth the watch if you're into the inner-workings of ecosystems. Without giving away the whole narrative, when California changed the way rice farmers had to turn over fields at the end of the season back in the 1990's, it created some interesting positives initially for waterfowl, but now trout and salmon. Check it out... if nothing else the nature footage is stunning. Good video. Definitely an uphill battle. For every drop of water the farmers want, Southern California wants 6 drops and environmentalists saving the Delta Smelt want their 6 drops. Let's not forget the "Twin Tubes" that they want to send even more water to Southern California in. Personally, living in Northern California I'm with the farmers. Sacramento and San Joaquin Valleys are the "bread basket" of the world. The more water you take from the farmers in the central valleys, the less they can grow. Flooding the rice fields after harvest is a great thing. Wonder how long it'll take before someone files a law suit to stop them. Like I said, an uphill battle. 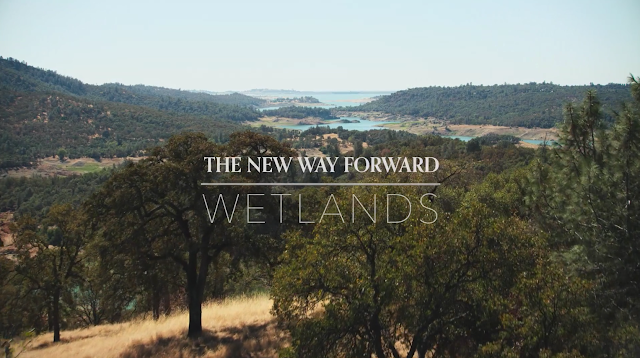 This video shows what can happen when individuals are willing to work together for the good of the environment, water resources and the ecosystem. I'm skeptical like Mark; a lawsuit could put an end to the project.